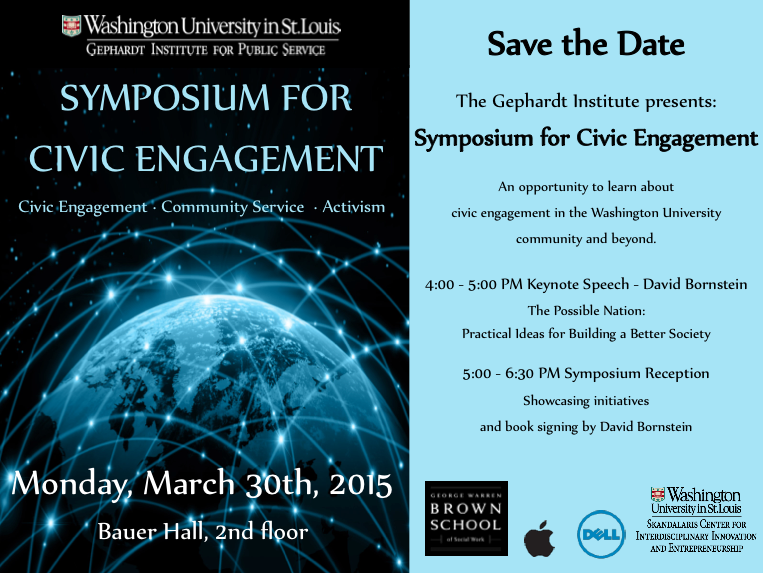 Saint Louis Story Stitchers artists will be participating in the Symposium for Civic Engagement at Washington University’s Gephardt Institute for Public Service beginning 3:30, Monday, March 30th. All participants prepared a 3 slide powerpoint or video short. Our video features one of the Stitchers Teen Council members singing a song that she wrote and performed in The Weight of Words Benefit Concert. At 4:30 participants will be engaging the public near laptops that feature each organization’s video or images. We are interested to see what else is presented. Drop in and see us!